When moving to a smaller home or if you have to put your things into storage between moves, it's a good idea to check out the options for short and long-term storage. Just remember that when you're selecting storage, research the company, ask the right questions and tour the facilities before you sign the agreement. Also, remember to purchase insurance. You are solely responsible for your things, and any damages will not be covered. Talk to your home insurance representative or the storage company for more information. If you're moving to a new home that isn't ready for your arrival or you're taking some time off between your move out and move in dates, then you'll need to figure out how to store your stuff for a short term. Short term storage usually means three months or less with longer-term agreements offering discounts and better deals. While short-term storage can be costly, some storage companies specialize in providing short-term agreements. Do your research to get the best deal. If you're hiring movers to move your stuff, you should ask the company whether they offer what is often termed storage-in-transit (SIT). This is where the mover moves your stuff out of your old home, holds it for you in storage, then moves it into your new home when you're ready. While this option often costs more than if you were to find your short-term storage, it's often worth it as the movers will take care of getting your stuff from point to point, saving you time and effort. 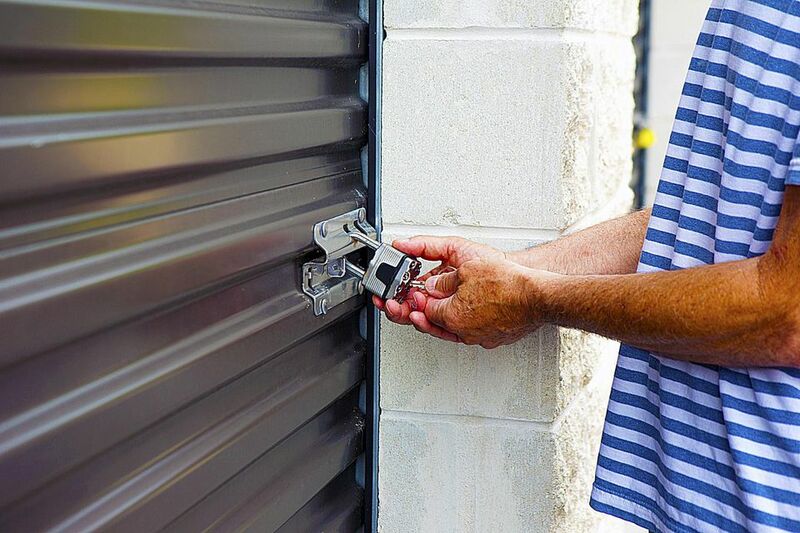 Self-storage works best for short-term storage or to store items for the long-term that you may need to access more frequently. This type of storage, also called mini-storage, is charged on a monthly basis and the storage spaces range in size. You provide your lock, which can ensure you that your space isn't being accessed without your permission. Access to storage is usually granted at specific times but ask the company first about access to your things. In most cases, you deliver and pack your storage unit yourself; however, if you can't move your items, the storage company may do it for you for a fee. Some companies offer a free moving service with the storage agreement. Ask what is included in the rental of the space (electricity/heat, security, etc.,) and the service before you sign. Container storage is normally used for long-term storage or a set period. This works best for people who are moving from one place to another and need a place to store all their household items until their new place is ready. Friends have used this type of storage option for when they traveled for an extended period of time and needed a place to put all their belongings. If you choose this option, the company will bring containers to your house which you pack yourself, with the help of instructions. You will have to determine how many containers you'll need. A company representative should be able to help you with the calculation. We suggest you do a complete home inventory to assist in the decision. Your things are then moved to the storage facility by the storage company. Access to your things is extremely limited, if at all. Again, ask the company if there is any access.